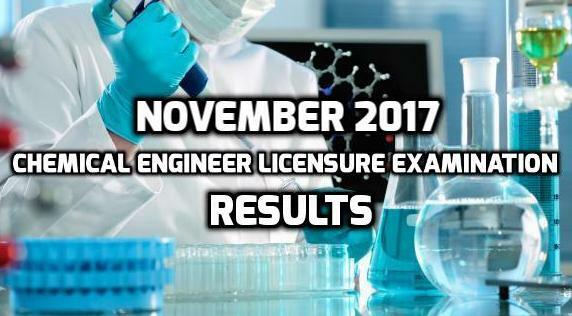 From the latest announced board exam results of the Professional Regulation Commission (PRC), it includes the results of the passers for the November 2017 Chemical Engineer Licensure Examination. As detailed by the PRC, 942 applicants took the scheduled board last November 18, 2017 and 627 passed the licensure successfully. The designated venues for the examination include Cebu City and Manila. 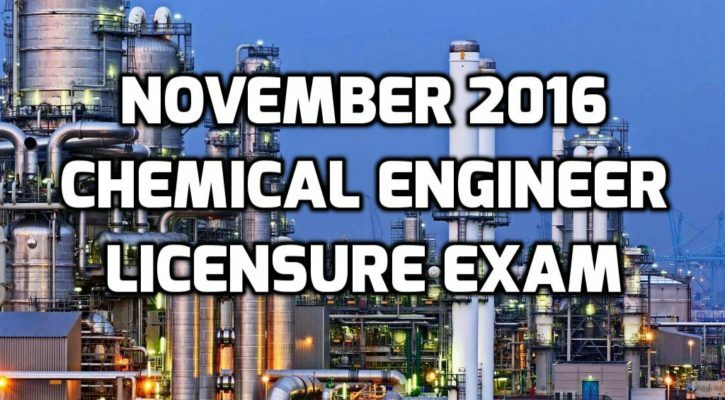 The Board of Chemical Engineering administered the scheduled board exam through the effort of Engr. Ofelia V. Bulaong (chairman of the board) and assisted by Engr. Cyd P. Aguilera and Engr. Jeffrey G. Mijares (both are board members). The commission likewise is reminding all the passers to visit its official website online to determine the necessary requirements for the issuance of professional IDs and Certificate of Registration. According to the PRC, it will be on November 28-29, 2017 and all those who passed the examination must register in person. 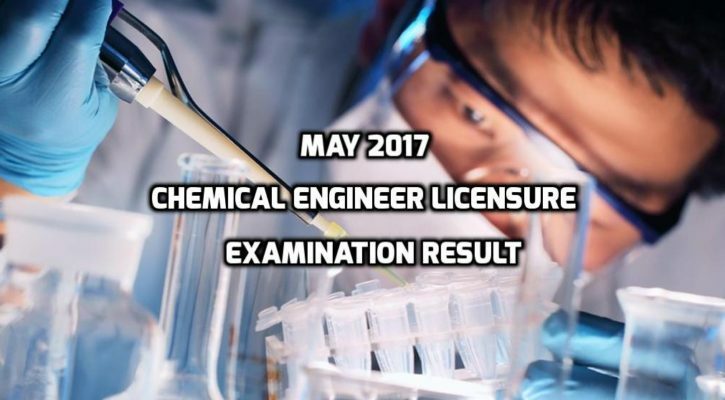 From the recently concluded May 2017 Chemical Engineer Licensure Examination, the Professional Regulation Commission (PRC) announced on Tuesday that out of 561 examinees, 310 of them passed the board examination. The PRC Board of Chemical Engineering administered the exam held in Cebu and Manila last May 24-26 this year. PRC’s Board of Chemical Engineering chairman Engr. Jeffrey G. Mijares, Engr. Ofelia V. Bulaong and Engr. Cyd P. Aguilera gave the examination. According to the commission, they will begin process the Professional Identification (ID) issuance on June 2 through online transaction by visiting their official website. 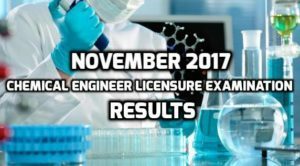 PRC (Professional Regulation Commission) publicized the results of the November 2016 Chemical Engineer Licensure Examination. Out of 918 test takers, 534 have passed. The examination was given by the Board of Chemical Engineering in Manila and Cebu this November 2016. The Board of Chemical Engineering’s members who conducted the examination are Engr. Ofelia V. Bulaong, Chairman; Engr. Jeffrey G. Mijares and Engr. Cyd P. Aguilera, Members. The results of the test were announced in two working days after the last day of examination.